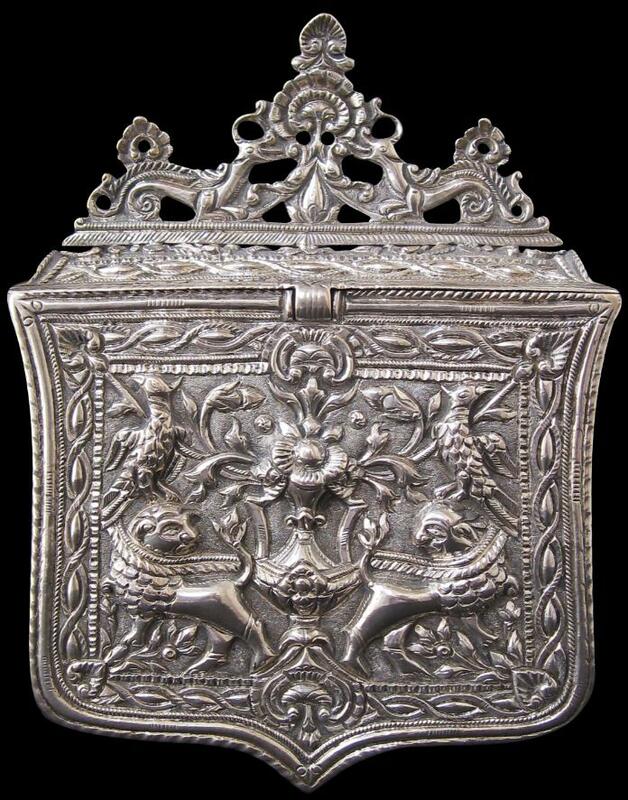 This very fine example of an Ottoman-influenced Greek cartridge box is of very thick gauge chiselled silver. The lid is hinged. It, all the sides and the front are chased with neo-rococo style motifs similar to Ottoman silverwork of the period. 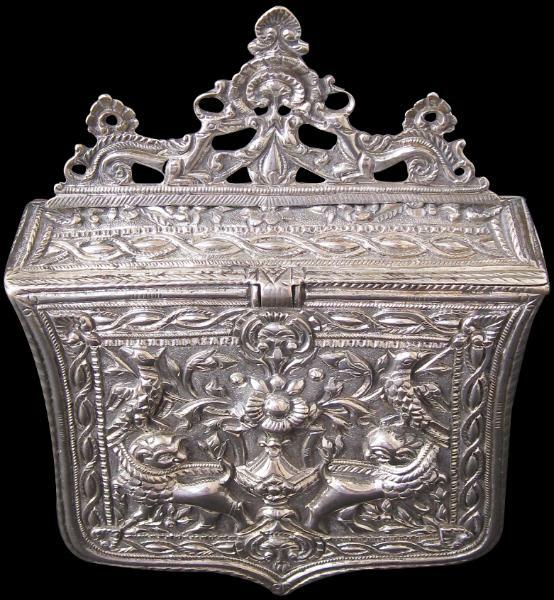 The lid or cover is surmounted with an open-work panel which shows two griffin-like creatures facing a scallop shell motif. The front shows two straining lions with two parrots, separated by an elaborate flower-laden vase, all within rope twist borders. 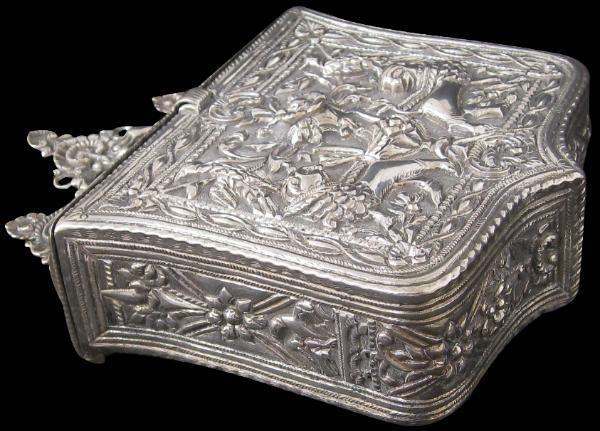 The back of the box comprises a thick, plain silver plate with a belt loop attached. 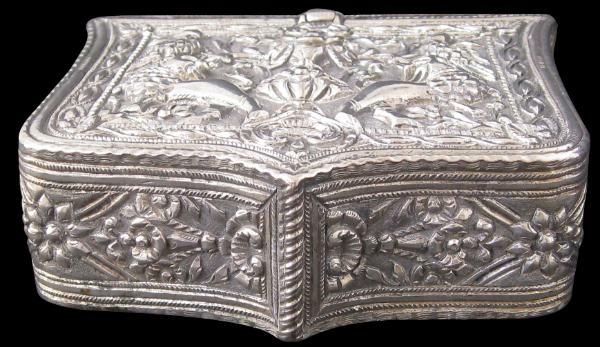 Ioannina, in north-western Greece, was an important centre for silversmithing. 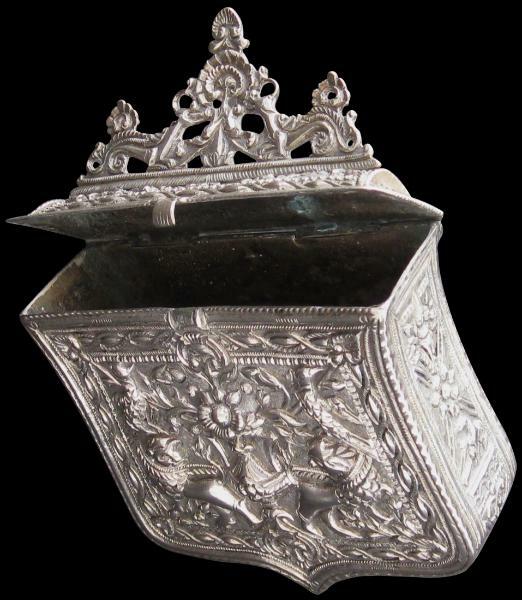 This palaska is very much in the style of Ioanninan silver, with high relief in its exaggerated rococo style. An almost identical box is illustrated in Elgood (2009, p. 126). 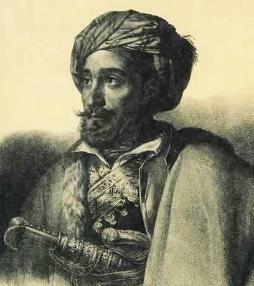 The Elgood example was in the collection of Ioannes Makriyannis (1797-1864) a Greek writer, military officer and politician who played a significant role in Greece’s War of Independence and the formation of the early modern Greek state. 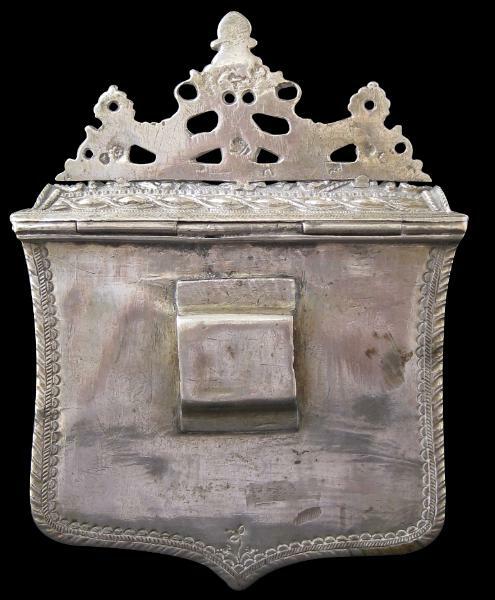 The similarity between the two boxes suggests that are by either the same maker or have come from the same workshop. The Arms of Greece: And her Balkan Neighbours in the Ottoman Period, Thames & Hudson, 2009.